Aptly named "La Mouette" and fittingly located on the Riviera of Waikanae Beach. 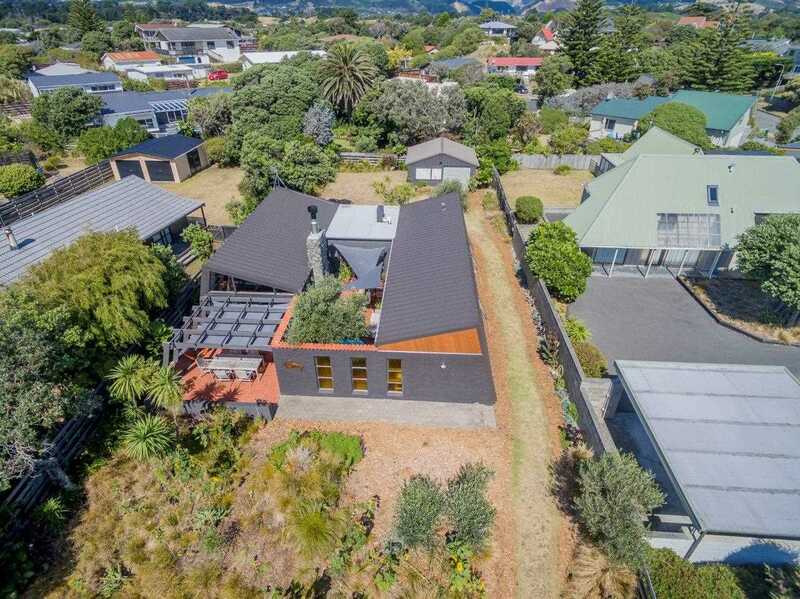 Architecturally very interesting with three bedrooms on a spacious 823m2 setting just across the road from the beach and within a wee walk of the popular Olde Beach cafes etc. Entertain into the evening all year round in your private courtyard with the built-in fireplace for warmth and ambience. Enjoy the years ahead at Waikanae Beach. Tenders Close Thursday, 4th April 2019 at 4.00pm at the Harcourts Waikanae Office, 490 Te Moana Road, Waikanae.